Project Information Requirements is a new course released from Operam Academy. Focusing on the requirements for information during the delivery phase of assets. And how the project information model can provide the answers, that help you make informed decisions. Therefore, in this course you will look at how information is needed to support the design and construction of assets. And how all these requirements are communicated during each appointment. This is done via a schedule of exchange information requirements. 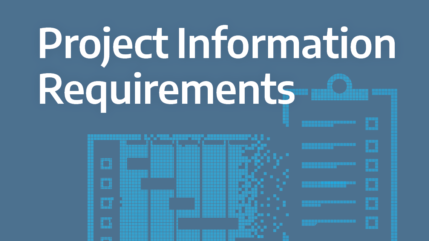 First, lesson 1 introduces you to the concepts of what project information requirements are. And how these relate to the project management process applied during the delivery phase of assets. Moving on, lesson 2 looks at how project information requirements can support the delivery phase of assets. Those that enable informed decisions to be made. Then lesson 3 explains the key deliverable’s of the project information model. And how they meet the information requirements of all parties. Finally, lesson 4 gets into how project information requirements are disseminated through each appointment. This is done via the mechanism of exchange information requirements. In the Project Information Management course, we cover the different stages within the project information management process. Including the start of each project, during the assessment and at the need stage. Above all, this is where the project’s information requirements are to be established. The delivery phase of assets has a defined start and end point. Starting with a brief and ending with the handover of a physical asset that meets that brief. Often, the delivery phase of a new or refurbished asset is managed as a single project. Therefore, it’s split into several stages and governed by a project management process. It is important to note though. That there are a variety of project management processes to choose from. And the stages within them do not directly correlate with the stages of the project information management process. But the purpose of this course is not to cover the theory of Project Management or its different approaches. And the detailed design, assembly and commission stage. Because the goal of the delivery phase from a project management perspective is to deliver a physical asset. One that meets the owner’s needs. The goal of the delivery phase from an information management perspective. Is to deliver a virtual asset. Done in the form of an information model, that accurately reflects the physical asset. Visit Operam Academy to learn how you can get access to this course.